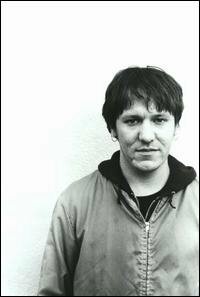 I'm sitting here with headphones on, absolutely transported by a musician I thought I'd become complacent with, and it's just overwhelming to me in this moment how impossiby beautiful Elliott Smith's music is. The melodies, the harmonies, the build and flow. Every song is well crafted, meaningful and moving. I've heard "X/O," which I'm listening to at the moment, dozens of times before, yet I'm delighted as each song starts again as if the first time I'm hearing it. There's nothing quite like the beauty of tragedy and depsair. Misery, sorrow, fear, and longing become profundity in the right artist's hands. I'm glad I can again revel in his music. Since his knife-through-the-chest suicide, I'd been too disturbed by the reality of his demise to escape into the music. And, just as every single Alice in Chains song is about heroin, every single Elliot Smith song treats with depression, low self esteem, self loathing, and addiction. Sounds horrific, but no, in fact, it does not sound horrific. It sounds heartfelt. It sounds true. It sounds sublime.